Aggressive dog behavior toward people is one of the most common reasons that people abandon their dogs to dog rescues and shelters. Prompt aggressive dog training can nip this problem in the bud. Make no mistake. There is no reason to allow your dog to be aggressive toward people, assuming that he is not in training for police work. Even dogs working for the police or military, are taught to follow commands and use aggression only upon command. So there are absolutely no excuses for you to accept aggressive behavior in your little Bichon Frise! If you are looking for information about dog aggression toward other dogs and objects, the article here discusses aggression toward dogs and objects. 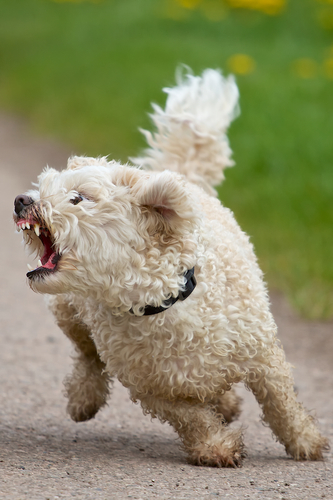 Aggressive dog behavior must be handled before it gets out of control and someone gets hurt! Dogs are aggressive toward people for similar reasons to being aggressive toward other dogs. Key to understanding an aggressive dog, is understanding just how dogs think. A dog who is aggressive thinks that he is the Pack Leader. It is his duty to protect the Pack, which he thinks is you and your family. To make things more complicated, your dog could be frightened, even though she thinks she is the Pack Leader and needs to protect the Pack. However, all barking is not aggressive. And an attentive dog owner needs to distinguish between friendly hellos and warnings or aggressive barks. When a dog believes that he is the Pack Leader, his duty is to protect you. A dominant dog (alpha) will approach people in a confident manner, with tail held high in the air. Dominant dogs do not usually run away, and they will stand their ground when protecting others. When people come to the door, a dominant dog will aggressively protect his Pack, if he believes that the person at the door is dangerous. A more submissive dog will approach strangers with his tail between his legs. He may be afraid, yet still think he is the Pack Leader. Submissive dogs are more likely to run or freeze, before becoming aggressive. Even though a dog is frightened and glued to your leg, he could also be barking aggressively. We see this kind of behavior when a dog feels cornered. 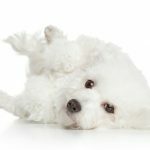 Because Bichon Frises are small dogs, they are often carried or they ride in carriers, where they can be cornered by strangers. As Bichon owners, we need to make sure that no one invades our dogs’ space when your dog does not welcome the attention. When a dog is becoming aggressive, she will give you clues. Reading these signals will help you get the situation under control before someone gets hurt. A dog who is warning you will have a stiff stance and some breeds will give you intense eye contact. Notice that a dog gets more serious as the warnings increase. It is important to make sure that your dog does not continue to escalate toward an attack. An intense stare – You will recognize this. Not a casual or interested glance at you, this stare at your eyes, is threatening. Growling that comes from the throat. This is not a playful growl. Growling moves to deep in the dog’s tummy area – this is the most serious growl. Not really a warning anymore! Snapping or a half-snap. The dog snaps at the air near you. Hard bite that bruises, breaks the skin and bleeds. If things are out of control, the dog may not stop with one hard bite. Dogs don’t just bite someone randomly or out of the blue! There is a series of events that lead up to aggressive dog behavior. As a dog owner, you need to be aware of how this works. Think about dogs in a pack interact. The pack leader has certain privileges and responsibilities. Maintain her position in the pack – This is an ongoing responsibility. Other dogs will challenge the leader’s position. If no one can do it better, she remains in the leadership role. If your dog thinks she is the pack leader, she will always be protecting her role. Discipline others – There are rules in a pack, and it is the leader’s responsibility to keep everyone in line. Protection – The leader protects the den (your home) and the pack (your family). If your dog thinks she is in charge, she will take over the security and protection duties. Not a good idea. Stressed and tired – When you work so hard at being the pack leader, you do get tired and you are always on duty. It can make you irritable and edgy. If your dog thinks she is the pack leader, she will simply be carrying out her duties. As humans, we may interpret her actions differently. 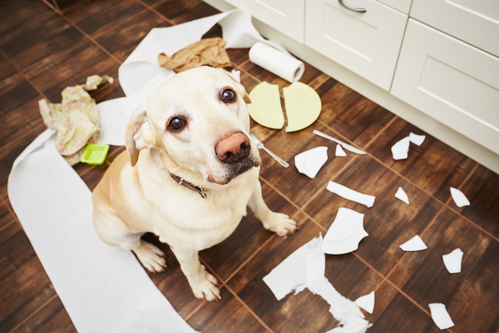 Everyday activities can lead to aggression, when your dog is in charge of your household. 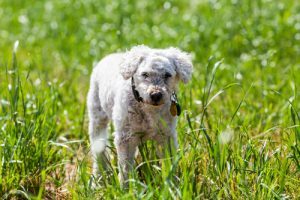 When you think about some of the following scenarios from a dog’s point of view, it’s easier to understand her behavior. Disobedience – When your dog thinks he is the leader, he doesn’t have to obey you. You have to obey him. Something as simple as telling your dog to get off the sofa can escalate into a problem. If your dog thinks she is the pack leader and she doesn’t want to sit on the floor, she can refuse and then proceed to discipline you. If your dog refuses to do what you ask or just ignores you, this is passive aggression. If you ignore this refusal, it will only get worse. Aggression at the Door – When someone comes to the door, your dog thinks she needs to determine who is there and what to do about it. This decision is yours, not hers. Invading a Dog’s Space – People get uncomfortable when a stranger invades their personal space. So do dogs. Especially dogs who are dominant or think they are leaders. When a child or stranger quickly gets close to a dominant dog (to pat or show affection), the dog may misinterpret the action. Pack leaders do not tolerate space invasion, and they will “correct” a person who tries to invade their space, on occasion. To avoid a problem, ask call the dog over to them, then to stroke the dog under the chin, instead of on top of the head. Aggression over Food – In the wild, the alpha dogs eat first and then those in a lesser position eat what is left. When you establish yourself as the pack leader, your dog will not show aggression toward you when it is meal time. However, do not take food from your dog’s bowl when he is eating. That’s just asking for trouble. Power Gesture Eating, taught by Doggy Dan is one of the ways that you establish your position as leader in the pack. This does work. We had a problem with our alpha dog Skipper at mealtime. We used Dan’s techniques and now Skipper sits and waits patiently for us to tell her that she can now eat. Unfortunately we often misinterpret what is happening with our dogs, sometimes because we just aren’t paying attention. Whether your dog is scared or feeling dominant, he has limited options. He does not have hands to push someone away from him. He can’t ask them to back off and give him space. If he is on a leash, being held in in a carrier, he can’t get away. Depending on how he sees the situation, your dog is either feeling frightened or feels that someone is threatening his leadership. In either case, he needs to do something about it. Your job is to see the tension mounting and stop things before your dog becomes aggressive. This is not rocket science. And in most cases, you can get this under control, so you won’t have to take your dog to a shelter. Pack Leader – First, and most important, you need to become the Pack Leader in your home. 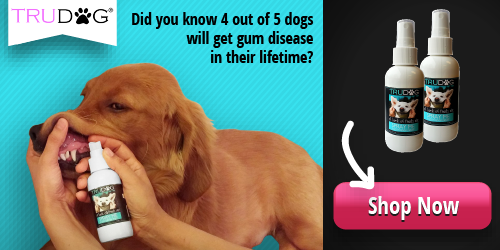 Doggy Dan has 5 Golden Rules that will help you do this. Stay Calm – No matter what the situation, you need to stay calm. 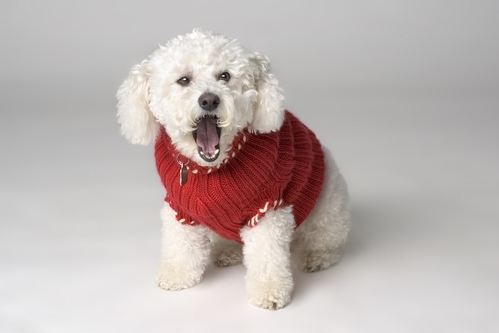 Dogs pick up on our emotions, and if you are calm, your Bichon Frise dog will stay calm, as well. Slowly – Do things slowly when answering the door or meeting people on the street. Stay in Control – For example, when walking an aggressive dog, keep him on a short leash, so you have control. Practice – If your dog has shown aggression, take him for walks but stay far away from others. As he does better, gradually walk closer and closer to strangers. Your Dog’s Space – Ask others not to invade your dog’s space. The Online Training System by Doggy Dan is an excellent way to learn how to work with your Bichon Frise, aggressive or not. In this video, Dan demonstrates how to handle dog aggression toward people visiting your home. Dog aggression can be handled and kept under control, but it will take some effort and commitment on your part! Access the Online Training videos now for just $1. To see more articles on dog behavior, click on a link or picture below.